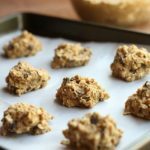 This peanut butter granola is completely addictive – Made simply with oats, peanut butter, coconut oil, and maple syrup, this may become one of your favorite snacks! 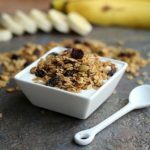 I’ve been making my own granola for years, but it has only been recently that I’ve finally nailed a recipe that my whole family loves! To emphasize that point, let me fill you in…Sammy typically hates peanut butter (I know! 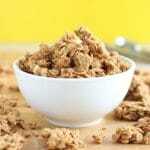 ), but loves this granola! 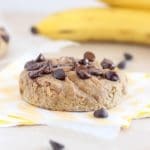 I imagine the addition of two of his other favorites ingredients (oats and maple syrup) help, but it’s still noteworthy. In the past, I’ve added nuts and dried fruit, only to then eliminate the dried fruit (it’s sweet enough without it, isn’t it?) and now the nuts. 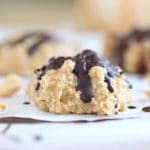 I really want the oats to be the star, with some help from my favorite peanut butter. 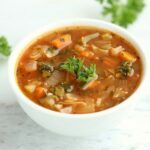 One great thing about this recipe is that it is highly adaptable, meaning you can easily add in nuts and fruit if you like. 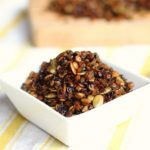 I like to include a couple of tablespoons of seeds, for both taste and nutrition. They also add a nice little ‘pop’ of color! ….it’s also incredibly easy to make! 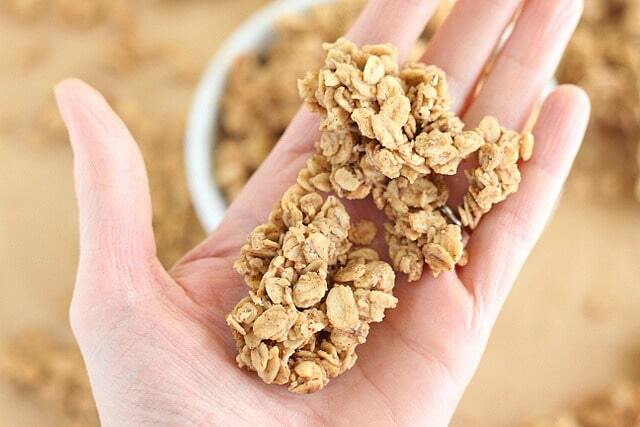 This crunchy, sweet peanut butter granola is seriously addictive! 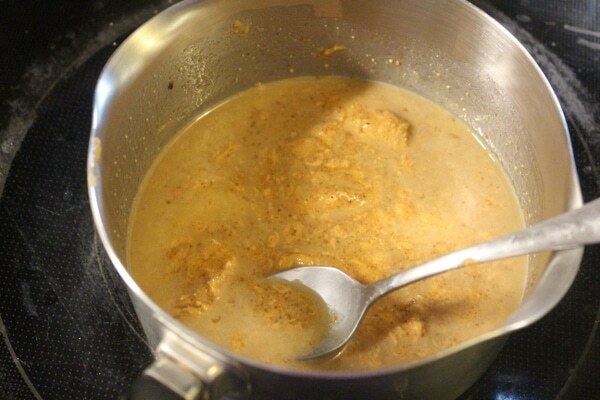 In a medium saucepan over low heat, add the oil or butter, peanut butter, and maple syrup. Heat the mixture just until the oil/butter is melted. 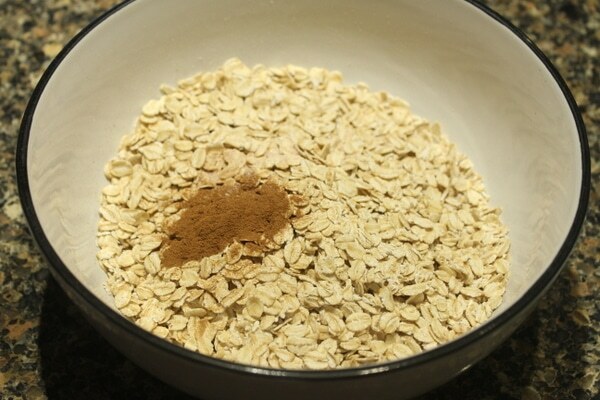 Stir in the cinnamon, vanilla, and salt until everything is emulsified. 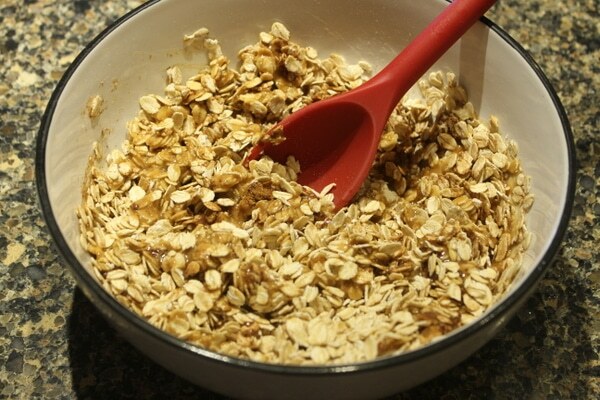 Lastly, stir in the oats and seeds, if using, until the oats are evenly coated. 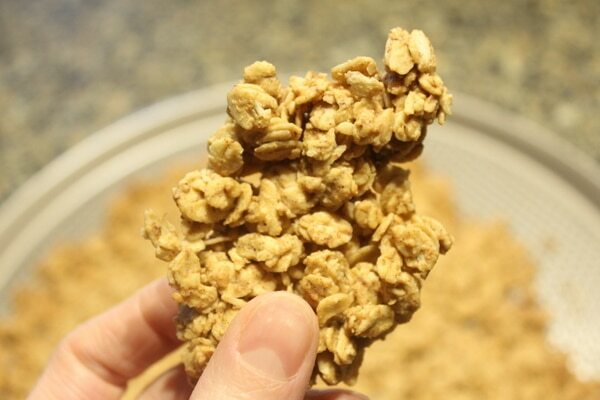 Pat the mixture into a tight square shape on a cookie sheet (this ensures you will get big clusters as opposed to individual oats, if that is your desire). Bake for 25 minutes, untouched. Break into clusters and enjoy! 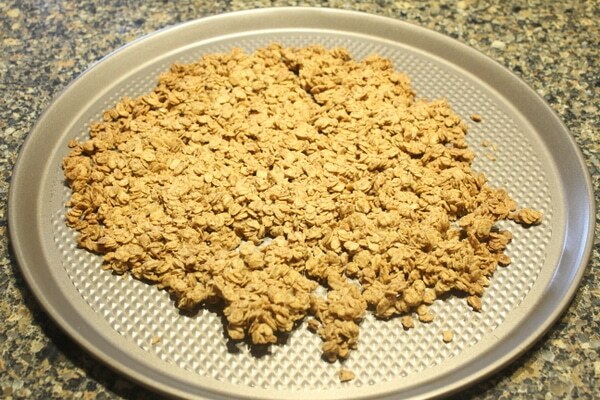 Post-bake, let it cool so those clusters form! 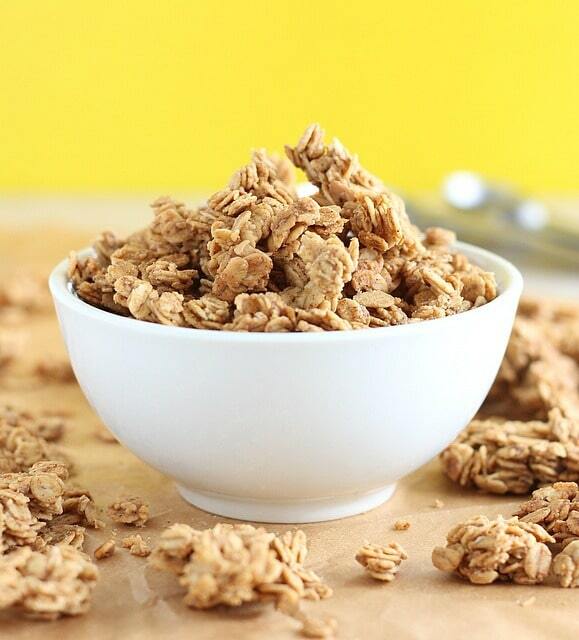 Looking for a lower sugar granola? 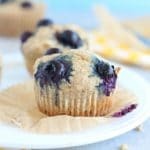 Check out some of my other recipes! 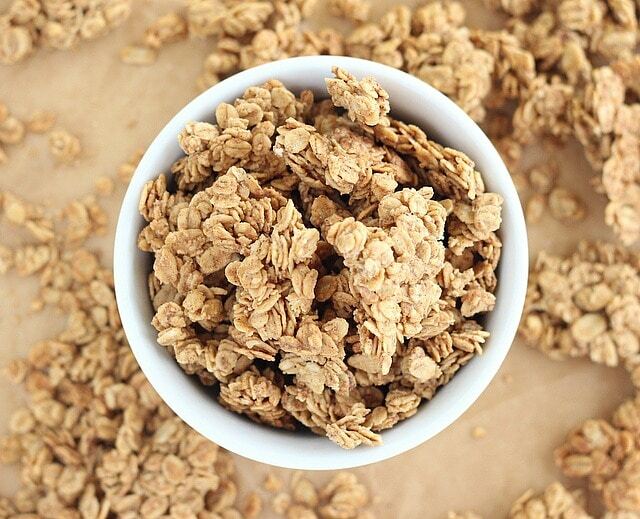 What are your favorite granola add-ins? I really love adding black sesame seeds! They’re often used in Asian recipes, and are known for their high mineral content as well as promoting kidney and liver health. I think I have a new handy candy to eat while I roam useless in my house. Amazing recipe and a good read. I made this today after pinning it a few months ago because it sounded so good and it did not disappoint! Delicious. I have to admit I made it more sinful by adding mini vegan chocolate chips at the end after it cooled. 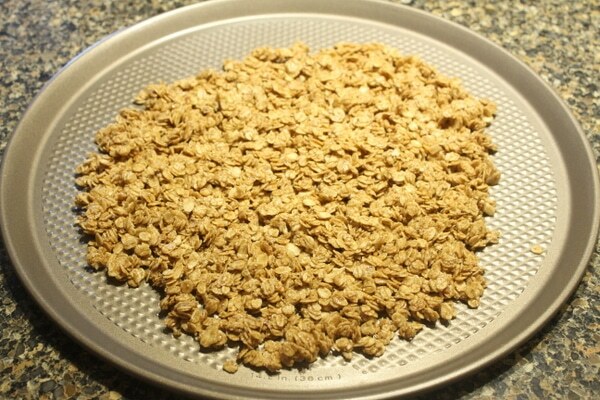 I didn’t realize it was SO easy to make granola. Other recipes have a lot of ingredients or go into detail about how to get the “clumps” that I love. Your recipe was easy and more importantly, delicious! I will make this over and over again! I’ve made this recipe about a 1,000 times in the last year. I usually add dried black currants (1/4 cup), chopped UNSALTED peanuts (about another 1/4 cup), and a 1/4 teaspoon of coarse sea salt. 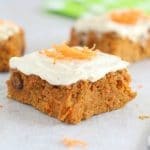 The bites of salty goodness are SO GOOD in this recipe. Just wanted to thank you for this great recipe! It has made my tummy very happy. Every mom struggling to keep her babies safe. I’m not entirely sure what you mean when you say that the recipe still contains nuts. A legume is not a nut. Peanuts actually grow underground, as opposed to trees like nuts. They are in the same family as peas and lentils. 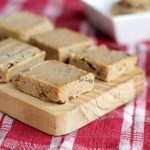 I am well aware that many children are allergic to peanuts, but this recipe is ‘nut-free’ not allergy-free. As a mother myself who has children with severe food allergies, I have to read labels AND titles to keep my kids healthy and safe. Please take personal responsibility with the food you provide/make your children. Sounds great! I know peanuts are really legumes, but I think the majority of people would still think they are a nut…. I know when schools are “nut free” peanuts are the worst offenders! can you use honey instead of maple? would it still be 1/4 cup??? Oh, that looks so good! 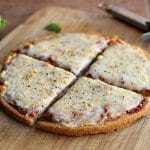 Gonna make some for the fam! Thanks for sharing! We are enjoying it, thank you! I had to hide it so that I didn’t eat it all in one sitting…Seriously! Absolutely yummy! Hahaha, I’m so happy you like it! Thanks for letting me know! Sorry about my avatar — I didn’t design that — just noticed it … not sure how it got there. Awesome recipe Lauren, sounds delicious!